Sometimes the answer to all of your problems is right in front of you. 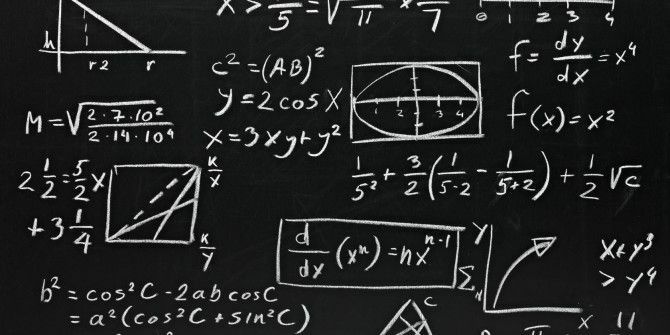 In fact, a calculator 5 Online Calculators to Improve Your Basic Math Skills 5 Online Calculators to Improve Your Basic Math Skills From algebra solvers that show their work to notepad-like tools that also crunch numbers, we've got all sorts of ways for you to do what computers do best: calculate. Read More is a great way to find the answer you need. Do you want to use pen and paper to figure out the square root 15 Common Symbols You Can Insert With the Alt Key 15 Common Symbols You Can Insert With the Alt Key Your keyboard has lots of symbols, but there are plenty more that aren't immediately accessible. Read More of 9877656? No, you want to type it into your calculator and have the answer displayed to you. But what if you were in the process of typing that on your iOS calculator Back To School? iOS Tips & Apps To Ease You Into Student Life Back To School? iOS Tips & Apps To Ease You Into Student Life Going back to school after an endless summer holiday is harder than the Einstein solid, but your iPhone can help make term time easier. Read More and you made a typo? You’d probably hit the Clear button and type the whole number again. But there’s a better way. All it takes is a swipe. That’s right, you can delete a single number in the iOS calculator just by swiping the screen in the area where the numbers are displayed. I’ve been using iOS since it first came out, and somehow this has eluded me this whole time. Learning this simple swipe trick literally changed the way I use my phone forever. Is there any seemingly simple iOS trick that you think everyone should know? Share in the comments! Explore more about: Calculator, iOS.